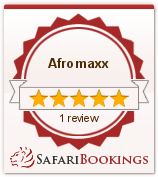 a) The customer offers “Basecamp Afromaxx Limited (in the following addressed as Afromaxx) a binding travel contract with the reservation. The reservation must be in writing and can be transferred electronically. It is done by the customer as well as all participants listed in the reservation. The customer may declare explicitly and separately to be liable for the contractual responsibilities of all participants and will be held accountable, besides all others participants signed up by him or her. b) The travel contract becomes binding with the acceptance by Afromaxx. The acceptance must be in writing. The customer will receive a written confirmation by mail. a) After finalizing the contract a deposit of 30 percent of the tour price has to be made. This deposit is due no later than 14 days after completing the contract. b) The remainder of the tour price is due 30 days prior to commencement of the tour and expected to be transmitted with the reservation number and without a separate request. c) Short notice bookings that are within the 30 days prior to the commencement of the tour require full payment immediately. d) If the full amount is not paid or not paid in time, Afromaxx will be released of its obligations and reserves the right to the deposit. The content of the contractually agreed upon services is described in the service information (tour character) in the offer and in the relating data which is part of the tour confirmation. These specifications of the offer and confirmation are binding for Afromaxx. In any case, additional agreements with Afromaxx must be in writing. a) Changes of the service or variations thereof after the agreed contents of the tour contract are to be communicated to the participant without delay. Depending on severity and circumstances Afromaxx will offer the complete refund of all payments to the participant. Afromaxx reserves the right to adjust the final price of the tour according to changes in currency exchange rates, national park fees, entry fees, taxes and transportation costs, which all affect the cost of the tour. This is only possible however if a time of more than a month is between the acceptance of the contract and the agreed upon beginning of the tour. A price change of this kind or a change in one of the essential services is possible up to 14 days prior to the start of the tour. a) The customer may cancel any time before the start of the tour. The receipt of the cancellation by Afromaxx is decisive. This cancellation must always be in written form. If the customer cancels the tour contract or does not participate in the tour, Afromaxx may ask to remedy the already processed travel preparations and to be compensated for their expenditures. Afromaxx may combine the cancellation costs according to the following outline and depending of the time left to the contractually agreed upon start of the tour. In case of a cancellation prior to 30 days until the start of the tour, the cancellation fee is 50% of the full price of the tour. Later cancellations are charged with 75% of the complete tour price. Deposits for reservations of cabins, safari or beach lodges as well as flight reservations cannot be refunded. b) If the customer does not participate in the tour without having filed a written cancellation or does not take advantage of parts or entire services, all rights to refunds will be waived. It is up to the discretion of Afromaxx to determine the saved services or other uses on an individual basis or to demand a flat fee from the customer. c) Should the customer abbreviate or leave the tour before its end due to illness, accident or indisposition, he or she will be responsible for all additional costs connected and has no right to any refund. In the following cases Afromaxx may retreat from or cancel the tour contract prior to the contractual beginning of the tour. Afromaxx may cancel the tour contract for an important reason. This important reason can occur especially if the customer hinders and disrupts the ongoing tour explicitly in the terms of the posted tour requirements [e.g. for health reasons, ability to perform, assistance with elements of the tour] and after having received a notice by the tour operator. In case of a cancellation by Afromaxx, the tour operator reserves the right to the full tour payment. In case the set minimum number of participants, which is to be stated in the tour description, is not reached. Afromaxx is responsible to inform the customer immediately once it is determined that the minimum number of participants has not been reached and the tour cannot be performed. Afromaxx has to provide the customer with a cancellation notice without delay. The customer will receive a refund of the deposit without delay. a) Afromaxx is liable under the due diligence of a good merchant for the careful preparation, the diligent selection and management of vendors and partner companies, the accuracy of all offered services, in case a change of service has not been announced by Afromaxx before entering a contract and the correct delivery and performance of all contractual tour services. b) If transportation with a line traffic carrier (e.g. flight or bus) is part of a tour or attached as an addition to the tour and the customer receives a relevant ticket, Afromaxx hereby includes foreign services and is not liable for the services and their performance. The relevant liability in this case will be part of the conditions of transportation issued by these companies. c) The participation in a tour arranged by Afromaxx is understood as that of an independent traveller, in own responsibility and at one’s own risk. The customer is responsible for observing the legal conditions of the destination country as well as for sufficient protection by insurances. d) The tour operator is not liable for damages after accidents that were caused by the customer or caused by third parties. The tour operator is equally not responsible for the consequences which may arise according to the specific outdoor risks (see paragraph 9). a) All tours operated by Afromaxx are adventure tours. The tours contain segments like driving on and off paved roads, crossings of obstacles in the terrain of all kinds, dangers of avalanches, falling rocks and landslides, dangers caused by adverse weather conditions, dangers by animals, camp activities with nights spent outdoors and further dangers which cannot be foreseen due to the character of the tour as an adventure tour. b) With all offered adventure tours, it has to be noted that there is a heightened risk for illness, accident and injury. Despite the assistance by the tour operator potential damages cannot be fully excluded, a risk which is the sole responsibility of the customer. c) Because of the nature of the tour the customer is expected to become familiar with the demands and risks of the respective tour and to have basic knowledge in first aid. Carrying a travel medicine kit is highly recommended. On all tours the participation is regarded as that of an independent traveler. The participation in the tours is under one’s own responsibility and at one’s own risk. a) The customer is obligated to participate in avoiding and limiting potential damages during the tours and within the limits of legal regulations. The customer is especially obligated to announce his or her own complaints immediately and before the end of the tour to the associates of Afromaxx and to ask for remedy, if at all possible, at the same time. Should the customer neglect to communicate a complaint out of his or her own fault, any eligibility to a reduction or refund shall be waived. b) The customer shall be informed about the person and the contact information of the Afromaxx associate on location, at the latest seven days prior to the commencement of the tour with the mailing of travel documents. c) In case the assistance by a local associate cannot be performed as described in the contract, the customer is obligated to immediately report this fault to the address following these terms and conditions. a) Contractual claims due to complete or partial nonperformance or faulty provision of travel services have to be lodged within one month after the contractual ending of the tour with Afromaxx. Only in case of missing this deadline without one’s own fault and enforcement of the claim shall be possible after the deadline. b) Contractual claims of the customer end after a period of six months. The statute of limitations begins with the day on which the trip was scheduled to end in the travel contract. a) The customer is responsible for the correct compliance with all passport, visa and health regulations that are essential for the participation in the tour. Afromaxx is not liable for the timely issuance and access of necessary visa by the respective diplomatic mission. b) Each customer should gather information in time about the infection and immunization protections as well as other prophylactic measures. General information can be obtained from health departments, physicians experienced in travel medicine and information services of their government. c) In case circumstances arise which will hinder or limit your participation in the tour due to the above-mentioned regulations, you will not be eligible to a cost free cancellation of the tour contract. a) Should the tour be heavily encumbered, endangered or influenced by forces of a higher power which was not foreseeable during the closing of the contract, Afromaxx may cancel the travel contract. b) Before and during the tour Afromaxx retains the right to change the planned route of the tour if circumstances should require such measurements or it is deemed inevitable. Changes in route and services by Afromaxx are permitted in any case of the following unforeseeable, extraordinary circumstances, e.g. war, strike, inner turmoil, misuse of authority, sovereign orders, governmental limitations of admittance, limiting measures compared to the hitherto code of practice, natural catastrophes, technical defects on the transport vehicles as well as higher power or incidents that are equal to the aforementioned. a) Misprints can occur even with the highest diligence applied. We shall retain the right to changes of the offer until the final contract is drawn and confirmed. a) The venue of jurisdiction for Afromaxx is Moshi in Tanzania. The traveler can only file a court claim against Afromaxx at its seat. b) For claims by Afromaxx against the participants of its tours the place of residence of the customer is the decisive factor, except the claim is directed at full merchants or people who do not have a general jurisdiction in Europe or against persons, who changed their residence after closing the contract to a place outside of Europe or, whose place of residence of common place of dwelling is not known at the time of filing the claim. In these cases, the place of jurisdiction shall be in Moshi / Tanzania.